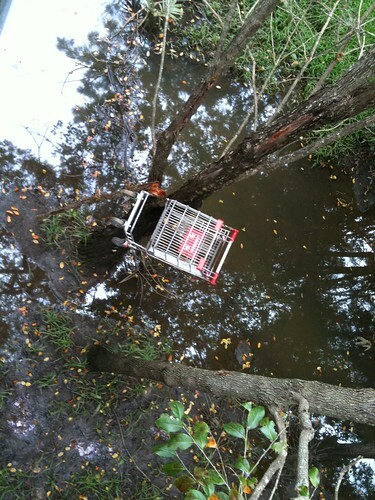 Trolley art @ Caboolture, May 2011. Washed up onto a tree in a creek during the January flooding. This site has been around for six years. July 2005 was the beginning. Only sporadically updated at times but still chugging along, which is something I am happy with. One of the reasons that it’s kind of a challenge to maintain a blog and update with regular posts is the diffusion of focus/energy idea that modern media presents. Consider all of the following online information streams that require both time and energy to keep updated with written information. Not to mention the expense of domain names, hosting (though I have a sweet deal on this front), and the like and it’s easy to see why a great many blogs start off strong and then wither away into cyber heaven. The creation of useful apps for the phone allow posting of photos quite easily now, which is a great help and time saver. 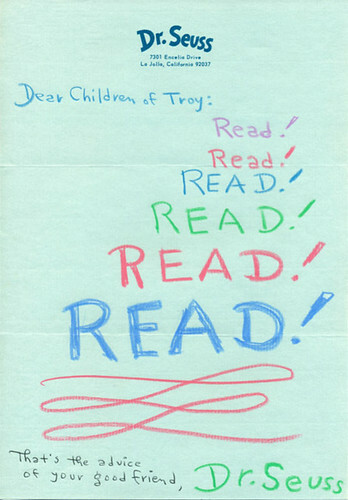 Wonderful advice to school children in 1971 from Dr Seuss. 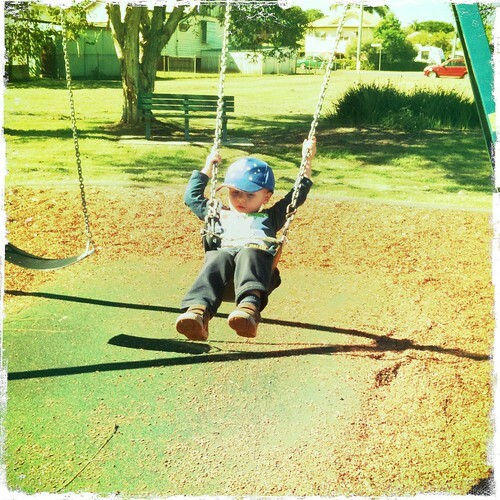 Oli can spend half an hour on the swing and complain when you want to stop pushing, he’s not keen to get off in case the someone else will take his place. Everybody carries a Chess world champion around in their phone these days, doesn’t take much of a genius to work out that the temptation is just too much for some. A participant of the German Championship, which concluded on Friday in Bonn, was caught cheating. FM Christoph Natsidis used a chess program on his smartphone during his last-round game against GM Sebastian Siebrecht to analyse a position from the game. Another circus has hit the airwaves and fish and chip wrapping. Not enough time spent on working out clear long term goals and too much time and effort spend debating the small detail. The top four spends from the budget. How about inverting this pyramid for starters. Health (Community Sport and preventative ideas especially) and Education (So we aren’t just a holes in the ground and housing economy) at the top and worry about the rest later.